We love coming across other companies that are doing great things in our world! And, with the holiday season in full swing, w e figured it would be a great time to share some of our favorites. Know somebody who loves the beach or cherishes a relaxing bath or shower experience? If so, you definitely need to check out this company. They started back in 2010 with the goal of transforming the skin and hair industry by creating nutrient-rich personal care products with an ocean-inspired sensory experience. 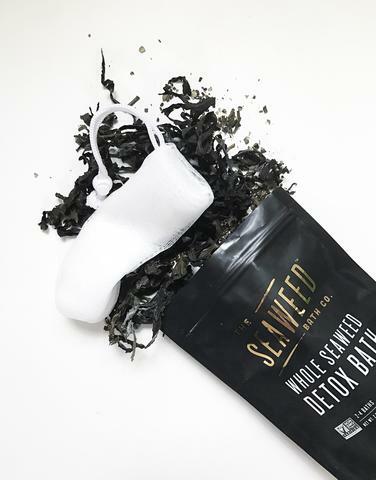 Their product development is rooted in scientific research and they sustainably hand-harvest certified organic seaweed for their products. 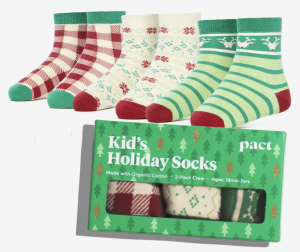 Oh, and they are also having some pretty great sales for the holiday season! This company has a great mission! They believe in crafting clothing differently: Sustainable materials, kindness towards humans and the softest clothing you’ll want on every layer. What’s not to love about that? They offer a large selection of clothing and accessories for women, men and the kiddos, along with some bedding options. And, if you have someone on your list but are working with a limited budget, they offer some pretty awesome stocking stuffer options too! We love this company and their slogan: Healthy lunch boxes for people, planet and pocketbook. Have you ever seen pictures that people have shared of their amazing lunches in bento boxes? 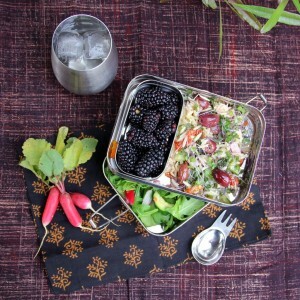 Well, Eco Lunchboxes is where you can get started in creating your very own spectacular lunch! This company makes a variety of plastic-free, stainless steel lunch boxes and handy cotton lunch bags to provide waste-free & healthy meal-time solutions for everyone. It’s so much fun to see a child’s face light up when they receive a new toy! 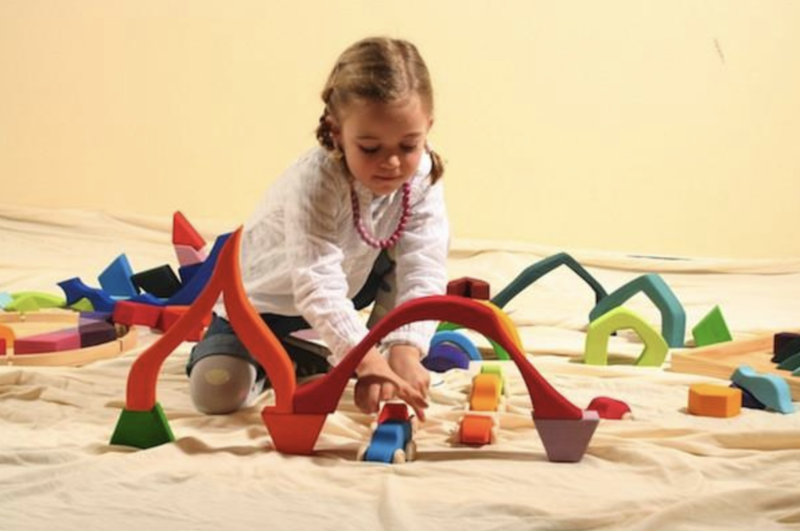 But, some toys are made only to fall apart in a few weeks and often aren’t made out of the safest materials. This company solves that problem! They create unique natural toys and products for children and families that are safe, healthy, and encourage imaginative play. There are no battery-operated or plastic toys, the kind that will be played with for a short time before ending up in the trash. In a world that is flooded with technology, this is a great gift idea for the little ones on your holiday list! 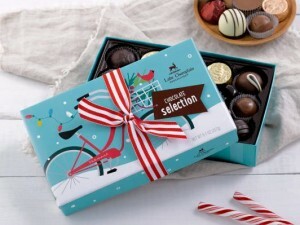 Who doesn’t love getting an edible indulgence as a holiday gift? Not only does this wonderful company offer a variety of chocolate options, but they also do a lot of social good! As a certified B Corporation®, they are able to create extraordinary chocolates that support a triple bottom line: people, profits, and planet. They also are heavily involved in giving back by supporting a variety of non-profit organizations and programs through donations and annual contributions. If you have a sweet tooth person on your list, check out their Chocolate of the Month Club (available in 3,6 or 9-month memberships). It’s truly a gift that keeps on giving! We hope that you find some inspiration for your last minute shopping in these companies!